More or less every movie ever filmed had footage trimmed away before the final cut was deemed fit for public consumption, and the stuff that was given the chop usually surfaces at a later date, in one form or another. Deleted scenes often wind up among the home media extras or crop up online, and sometimes even in the film's trailers. 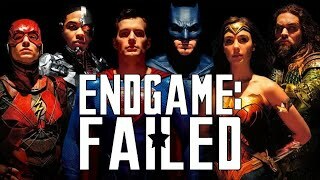 On many occasions, official teasers have promoted footage that was nowhere to be seen in the movie itself, and this seems to be happening a lot in the superhero genre these days. Recent additions to the Marvel Cinematic Universe and its DC counterpart are notable examples, but it's a cinematic quirk that predates either of those franchises. Indeed, eagle-eyed fans picked up on it during the days when Christopher Nolan was in charge of Batman, when Spider-Man was in Sam Raimi's hands, and even before that. When a scene is polished up to the extent that it's of high enough quality to form part of the final product, that's usually an indication that it wasn't originally intended for deletion, only for last-minute reshoots to rejig the project. Often, these scenes turn up on Blu-ray discs, but some of them mysteriously never materialise.